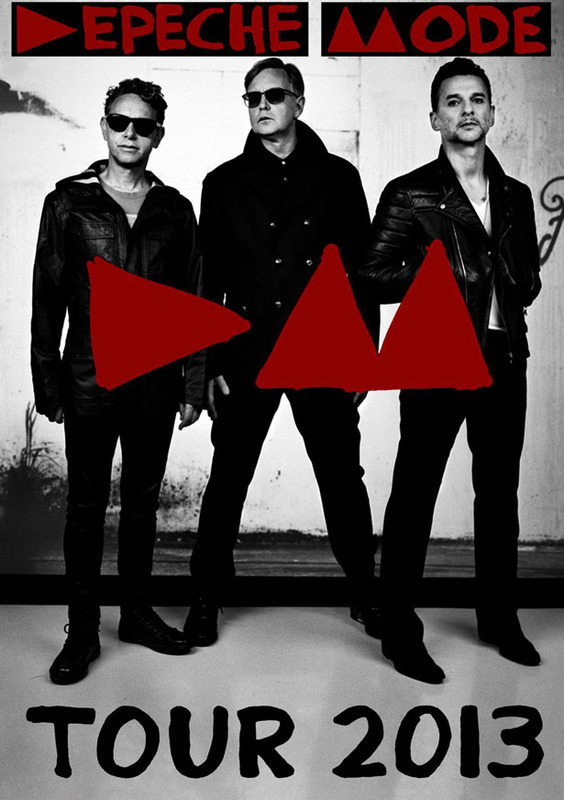 Depeche Mode announced details today for their North American tour. The 18 date tour kicks off August 22nd at DTE in Detroit, and concludes in Phoenix on October 8th. Tickets for the tour go on sale Saturday, April 6th at 10am, however there are a TON of ticket presales for the tour. The presale for Citi card members starts April 1st; an Amazon presale runs April 3rd through April 5th (fans who preorder Delta Machine on or before April 1st are eligible for the Amazon presale); Facebook presale starts April 4th (register through Depeche Mode's Facebook page), and finally the Live Nation presale kicks off April 5th. Important to note for all presales: a presale access code does NOT guarantee tickets, nor does it guarantee tickets at price level of your choice. For more on the Depeche Mode North American tour, visit Depeche Mode on the web. Tonight don't miss Depeche Mode's live streaming concert for Live on Letterman. The show streams live from the official Live on Letterman site and Vevo starting at 8pm tonight, then the concert will be available for on-demand viewing. Depeche Mode are also playing the Late show with David Letterman tonight where they'll perform their new single "Heaven." After Letterman, Depeche Mode head to Austin, Texas for a couple of events at South By Southwest. First up, Depeche Mode appear at the Austin Convention Center on March 13th for a Q & A panel discussion moderated by Jason Bentley from KCRW. Then on March 15th, Depeche Mode play an exclusive concert at Brazo Hall - for all the non-SXSW peeps, not to worry, Yahoo! is taping the concert and will premiere it on their site starting March 25th.